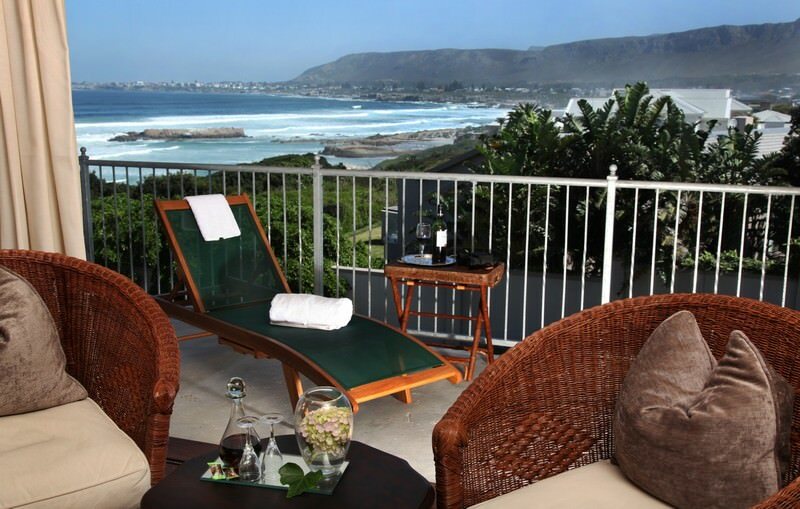 Hermanus Beach Villa is a four star property along the celebrated 'Whale Route' in South Africa. 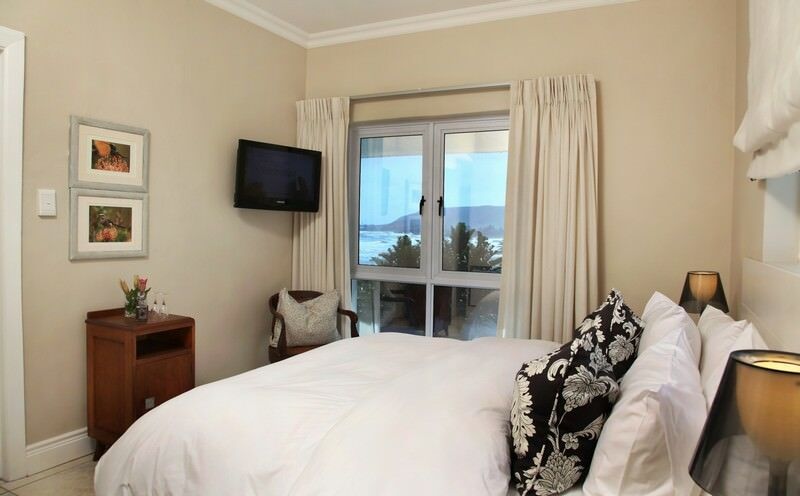 Hermanus Beach Villa is situated on the Blue Flag Voelklip beach with a lovely view of the ocean. 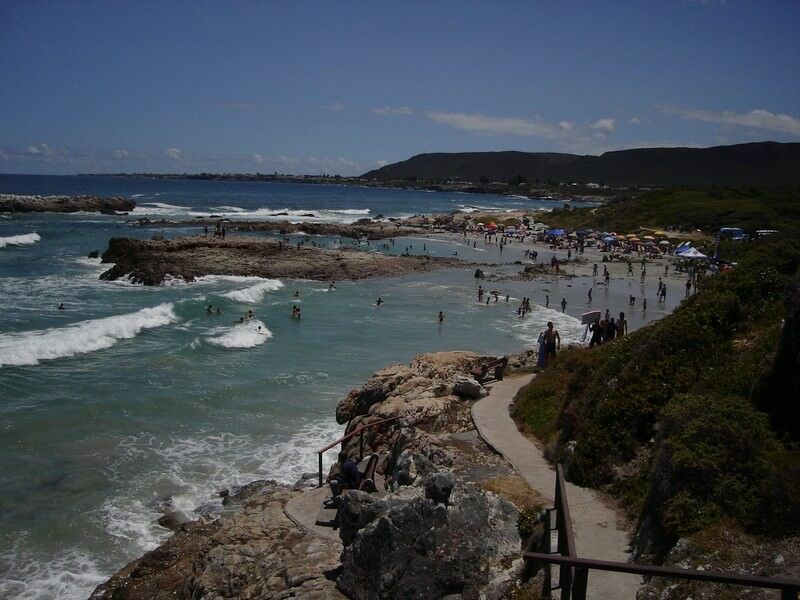 Hermanus is well-known as the best place in the world to enjoy land-based whale watching - a wonderful activity whilst enjoying a tour of the Cape Town area. 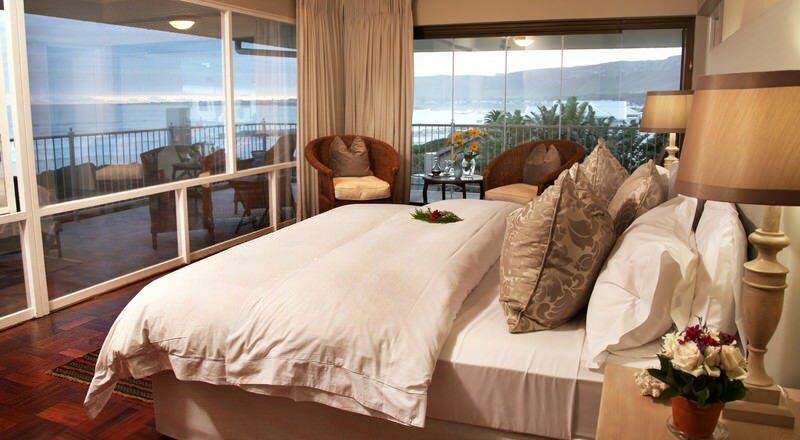 During the whale season, one can enjoy whale watching from the comfort of your room or over breakfast in the large main lounge. 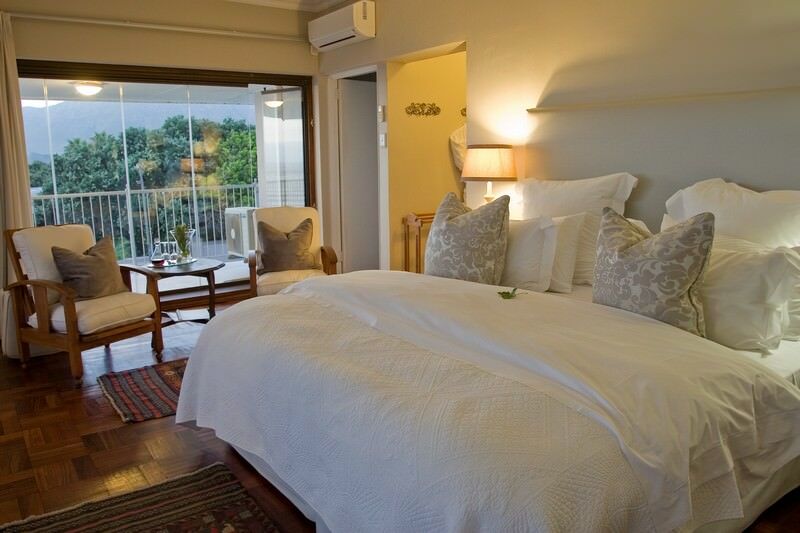 Each suite has a fully-equipped mini kitchenette, luxury en suite bathroom with heated towel rails, twin basins, TV/ DSTV and heating. 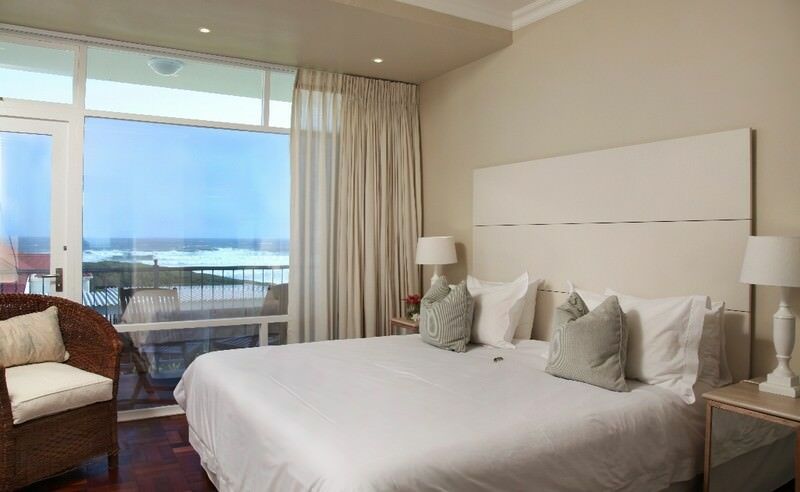 The Voelklip, Grotto and Langbaai suites have 180 degree ocean views. 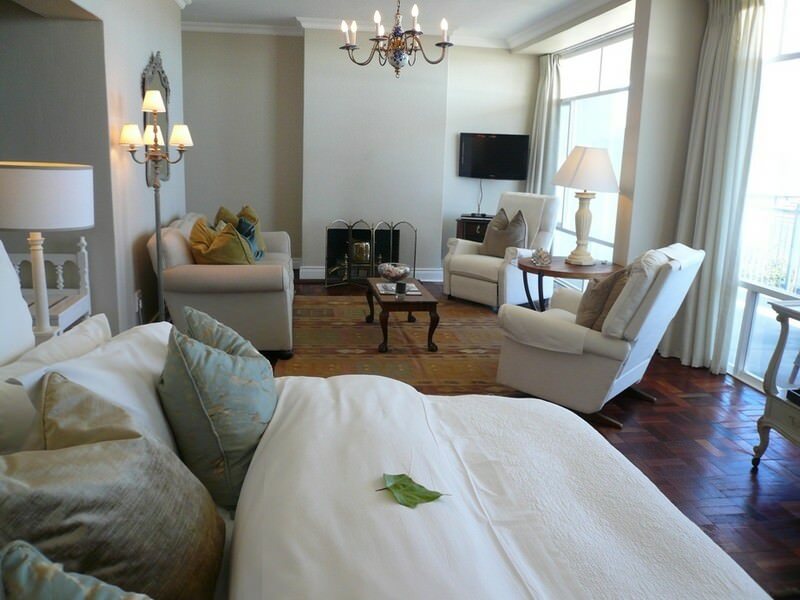 Suites are serviced on a daily basis by very friendly staff. 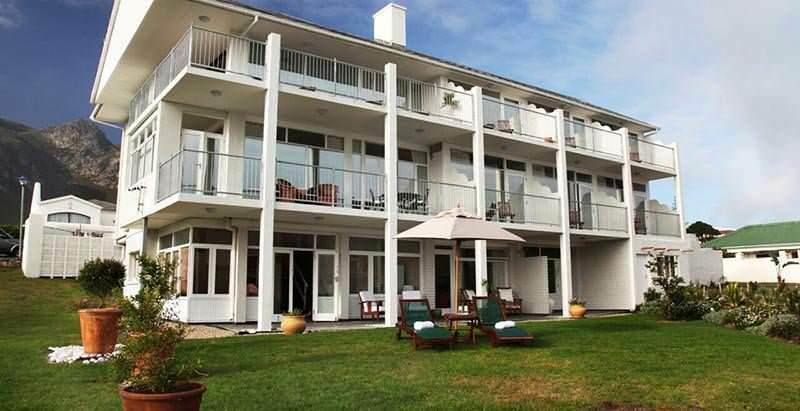 Activities available on in the area include whale watching boat cruises, Cape winelands tours, thrilling shark cage diving and gorgeous scenic walks and drives. 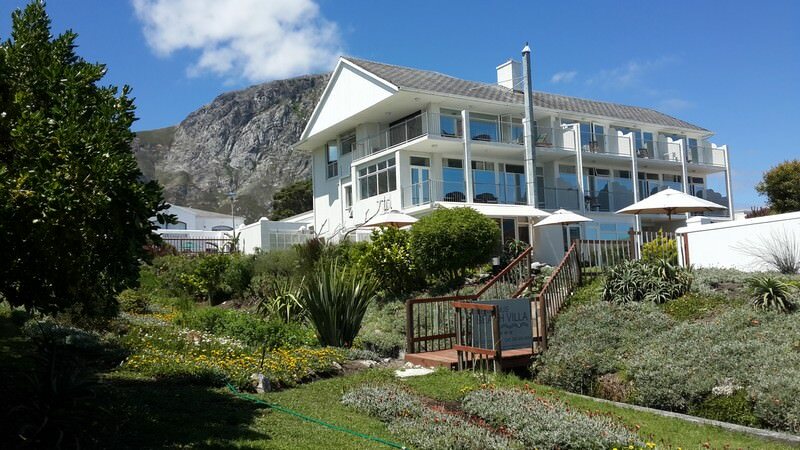 Arabella and the Hermanus Golf Course are within easy reach. These are two of the finest courses in South Africa and are sure to delight golfers of all skill levels. 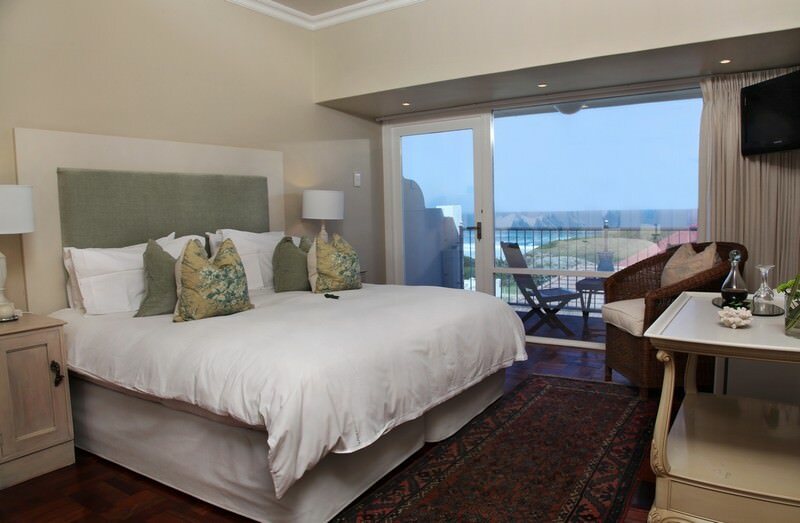 Sweeping views of the Overberg coastline can be savored when staying at the Hermanus Beach Villa. 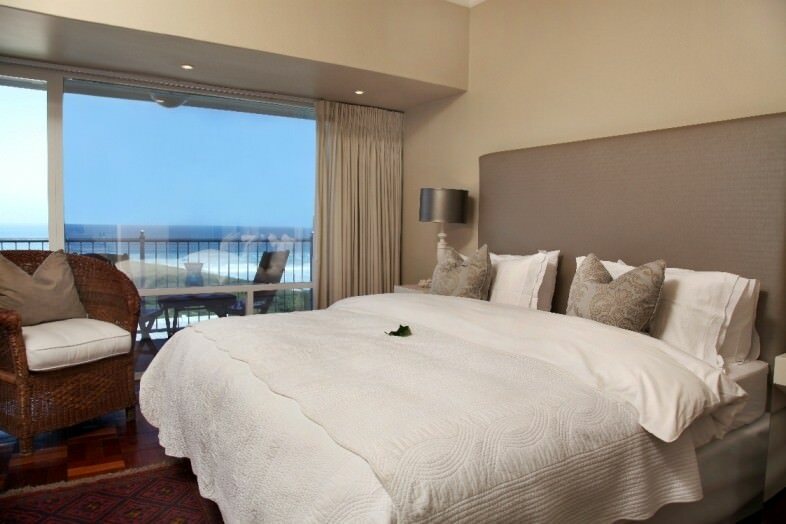 Between June and November, an added bonus is the opportunity to view southern right whales from your balcony. 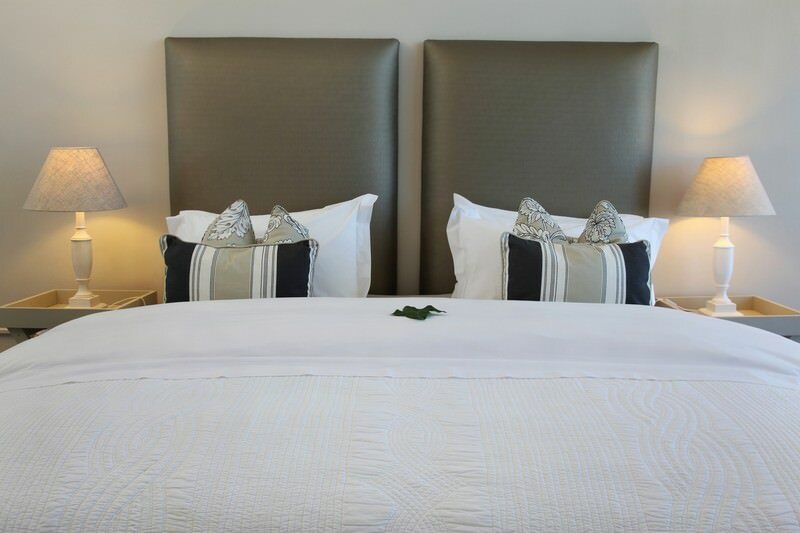 The accommodation on offer is fine in every way, from the setting to the stylish decorations which adorn this guest house. 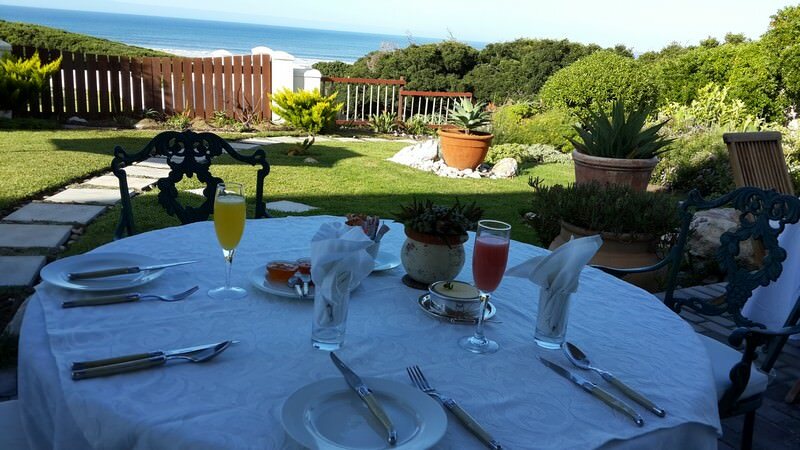 You will experience friendly personal service in one of the most popular coastal towns in South Africa. South Africa is known as 'the world in one country', steeped in diversity. Botswana is a paradise for nature enthusiasts, replete with wildlife. Namibia is a sprawling desert country with a wealth of unique destinations. Travel to Zambia for an extraordinary safari reminiscent of yesteryear. Zimbabwe's appeal lies in its exceptional view of the Victoria Falls. Mozambique is a tropical paradise with myriad islands and fine beaches. The Kruger National Park is South Africa's premier safari destination, boasting unparalleled diversity and many accommodation options. The Sabi Sand Private Game Reserve offers the ultimate luxury Big Five safari experience, with prolific sightings and sumptuous lodges. Cape Town is known as South Africa's 'Mother City', a beloved coastal settlement flush with natural beauty and adventure. The Garden Route is a bewitching stretch of coast that encompasses forests and lakes between Mossel Bay and Storms River.